One case decided by the Social Security Administration concerns individuals with disabilities who are subject to treatment that could lead to a restoration of their ability to work and whether they are required to follow their prescribed treatment plan to remain eligible for disability benefits. The Social Security Administration makes clear right away in this ruling that those who fail, without good cause, to follow treatment that can be expected to restore that person’s ability to work, cannot be found to be disabled. 4. The evidence of record discloses that there has been refusal to follow prescribed treatment. 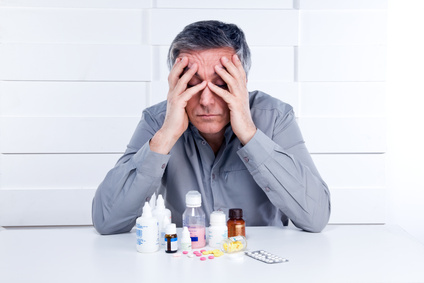 If all of the above conditions are met and the person is found to have failed to follow a prescribed treatment, a determination must then be made as to whether the failure was justifiable. The claimant or beneficiary should be given an opportunity to fully express the specific reason(s) for not following the prescribed treatment. Detailed questioning may be needed to identify and clarify the essential factors of refusal. The treating physician should also be contacted concerning the individual’s reasons for refusing treatment to clarify what the individual was told. 1. When the acceptance of a prescribed treatment would be contrary to the teachings of the claimant’s religion. In such a case, the claimant will be asked to identify church affiliation and provide a statement or other information from either church authorities or other members of the religious to substantiate that the individual is a member of the church. Additionally, the church’s position relative to medical treatment must be documented by obtaining either church literature or a statement from church authorities. 3. A conflict among licensed medical doctors also serves as a valid reason for not pursuing a prescribed treatment. If a person has two treating sources who take opposing views regarding treatment, one recommending and one advising against the same treatment, failure to follow the recommended treatment is justifiable. 4. If the treatment carries a high degree of risk because of the enormity or unusual nature of the procedure that can be seen as a justifiable reason not to follow a prescribed treatment. 5. Finally, another justifiable reason is if the treatment recommended involves amputation of an extremity. These are a sample of the most significant reasons why a refusal would be deemed justifiable, but there are other specific reasons that should be considered depending on the particular circumstances of your case. If the decision to refuse treatment is not deemed justifiable, the SSA may decide to deny the disability claim or cease payment of benefits. However, before such a determination is made, the individual must be informed of this fact and of its effect on eligibility for benefits. The individual will be afforded an opportunity to undergo the prescribed treatment or to show justifiable cause for failing to do so.